After leaving Salt Lake City and Provo the Denver & Rio Grande Western heads up Spanish Fork Canyon on its way to Soldier Summit. 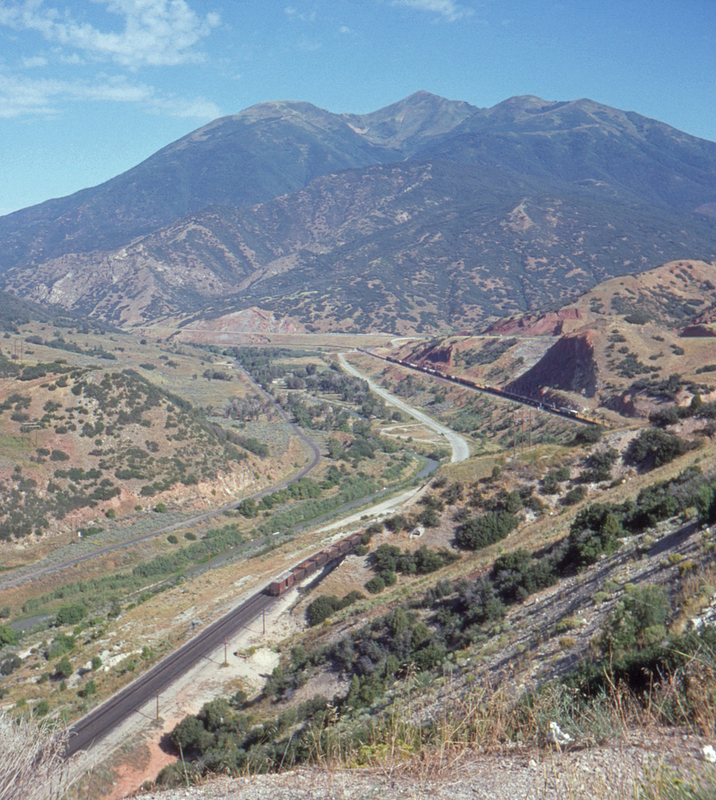 In April 1983 It came to serious grief here, when a massive landslide almost completey blocked the canyon, dammed the Spanish Fork River, and obliterated an important part of the Rio Grande's mainline. The town of Thistle was destroyed, and U.S. Highways 6 and 89 were closed for several months. A new lilne and several tunnels were quickly constructed at a higher elevation; you can see the abandoned mainline grade to the left of the old highway below.